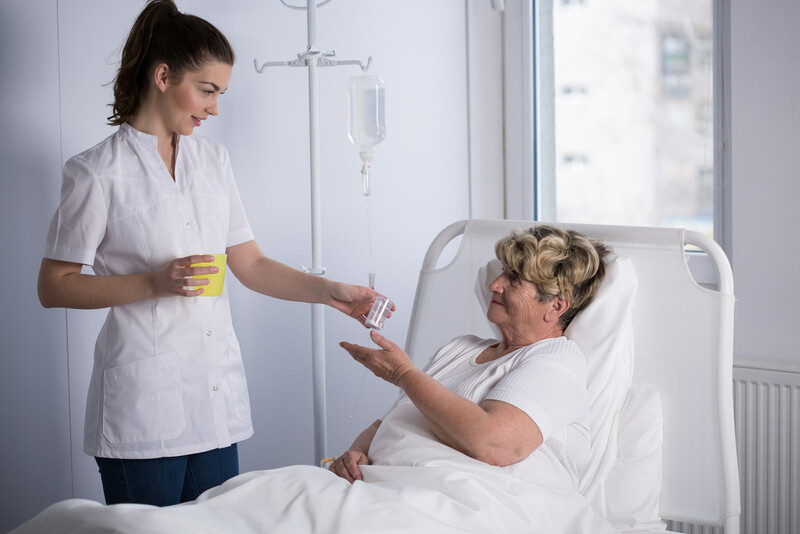 Several studies indicate that a nursing workforce composed primarily of BSN-prepared nurses will improve the quality of healthcare delivered to the nation’s population. A key recommendation of the Institute of Medicine’s landmark report, The Future of Nursing: Leading Change, Advancing Health, is to have at least 80 percent of nurses with a bachelor’s degree or higher by 2020. The report and successive changes to meet the recommendations should propel nurses into action. However, there are multiple internal and external factors that determine whether a registered nurse will pursue a bachelor of science or higher degree. The desire for professional advancement, professional achievement, personal and professional satisfaction as well as advanced knowledge are key motivators for pursuing a BSN degree. According to experts, the changing health care systems demands nurses with a bachelor’s degree. Nurses have to manage patients with increasingly complex conditions. The preparation in BSN programs or the bridge RN to BSN option helps nurses meet patients’ needs. Nurses must also be prepared to use information technology which features heavily in health care. RN to BSN programs offer on-campus and web-based learning as well as convenient schedules and affordable tuition to promote learning. The student-friendly format is encouraging to nursing professionals who need to overcome numerous barriers to learning. As the associate’s degree remains the main point of entry to the profession, RN to BSN programs will remain relevant to help nurses accomplish academic progression. With support from employers, in the form of tuition reimbursement, flexible work schedules, and paid sabbaticals, many nurses are returning to school to earn BSN and MSN degrees. Upon completion, they can accept lead roles in patient care coordination in a variety of medical settings and improve the delivery, safety, and efficiency of patient care. If you’re making a good living as an experienced associate-degree nurse, you’re probably wondering at the benefits of acquiring a baccalaureate degree. Your goals should guide your decision. If the degree helps you to achieve your goals, then go for it. You might decide that you can achieve your goals without the advanced degree. However, it is important to monitor industry trends as there might be a mandate for a baccalaureate degree in the future. Obtaining a baccalaureate degree is a way to better yourself. Health care reform legislation, colleagues, the Magnet Recognition Program, and your employer may drive your decision, but advancing your education will most significantly impact you. When you reinforce your experience and knowledge as a registered nurse with the critical thinking and leadership skills the BSN education provides, you’ll have a more rewarding career and more positive patient outcomes. Your self-esteem will go up as you use your existing knowledge and advanced understanding of practice to provide better care and positive patient outcomes. You’ll see the difference right away as your professional development helps you to improve your practice in a way your employer will notice. As you move from a position of executing tasks to becoming a knowledge worker, you’ll develop the confidence to design specific solutions, implement new practices, and mentor your co-workers. Moreover, the degree will help you to understand the need for change. Where once you would have resented change, your improved perspective will help you to embrace research that proves there are better and safer ways to execute a specific task. If you plan to become a clinical specialist or nurse educator, a BSN degree may be a first step. A nurse with a baccalaureate degree is more likely to pursue higher degrees to move into management or specialty nursing, such as infection control, informatics, or case management. It will give you the foundation to grow, learn, and move forward when the time comes. No one will doubt that you’re a good, even excellent, nurse without a BSN degree. However, further education will make you a better nurse. 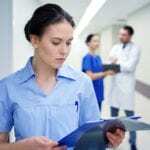 The exposure to holistic nursing, community nurse, change management, conflict resolution, and leadership will provide a different perspective to better manage patients’ needs. As you embrace nursing theories and evidence-based practice, you’ll recognize a renewed enthusiasm for the profession. Your renewed confidence and attitude backed by your experience and the degree employers want will open the door to job security, improved hours, greater options, and better pay. Empowering yourself through an RN to BSN demonstrates your commitment to your patients, employer, coworkers, and yourself. The RN to BSN program builds upon the foundation provided by the Associate’s degree. The program admits registered nurses with an associate’s degree who will complete the upper division courses to fulfill the BSN degree requirements. The curriculum includes management principles, leadership skills, and evidence-based practice methodologies. Experiences in community health nursing prepare students for lead roles in this area. Apart from increasing job potentials, a BSN degree lays the foundation for entry into MSN study for opportunities in management. Graduates can apply for a California Public Health Nursing Certificate to work in community health settings. Most California schools offer an online learning option with a mandatory clinical component in community health settings. Since applications to this degree exceed availability, admission is a competitive process. An ADN degree from a regionally accredited program. The graduate must be in good standing at the last college/university. A current and active RN license in California. Completed prerequisite courses with a minimum 3.0 GPA and no repeats. A passing score on the written assessment/personal statement. Sealed, official transcript from all colleges attended. Prerequisite courses may include English composition, critical thinking, speech, general chemistry, human anatomy, microbiology, human physiology, and statistics. Students must transfer a minimum of 60 credits to complete the BSN degree requirements to avoid repeating lower division courses. The requirements for enrollment is specific to each school, so check individual websites for complete information. The following list of RN to BSN programs in California should help you get started.